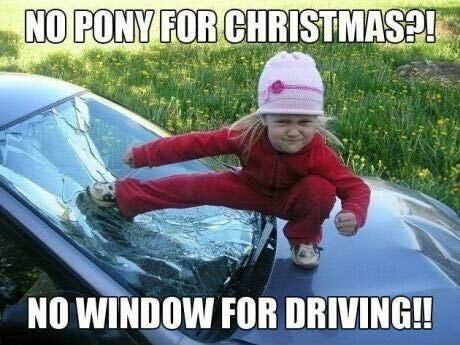 No pony for Christmas? No window for driving! Created about 5 yrs, 5 mths ago (November 13, 2013). Updated about 5 yrs, 5 mths ago (November 13, 2013).